Hi, Anyone know what might be causing this? Deficiency, disease, or pest? Thanks. It looks a bit like the aphid damage I've had, but I can't see any sign of the little sods in your photos. So I'll bow out and hopefully Heefy or another expert will be along to diagnose for you. Leaves look a bit pale, especially in the second photo. What are you feeding them? zinc (Zn) chelate of EDTA 0.007%. 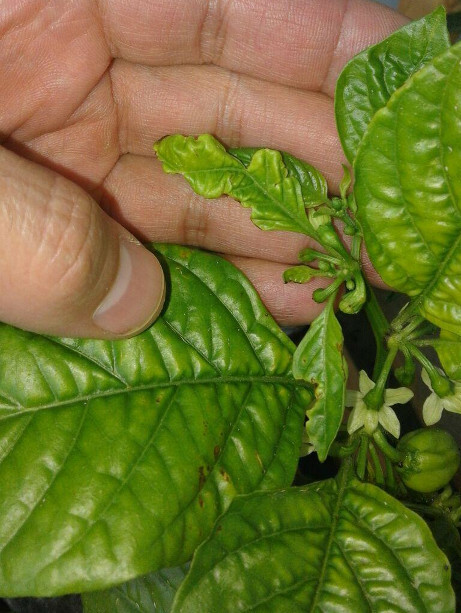 I've noticed the yellowing (only on new growth) appeared when the fruit was setting. I haven't noticed any aphids on my balcony this year. 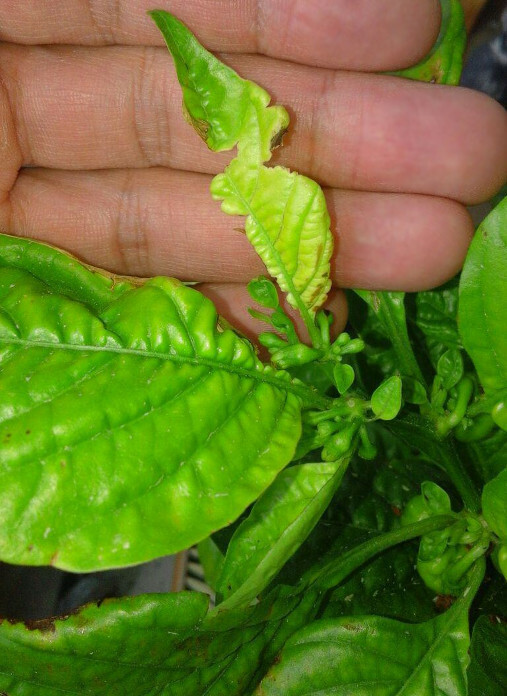 I haven't noticed any aphids on my balcony plants this year. The spots you can see is what's left of birch and/or pine pollen. The pollen basically covers everything early on in the year. I've sprayed the plants a few times with water to remove it, but small amounts remain within the water droplets still on the leaf. When in dries, it becomes these little spots.